Snarky Puppy consists of musical anarchists from Brooklyn and is living proof that too many cooks do not ruin the soup. Their music has as many different levels and ingredients as an Italian-American lasagna. 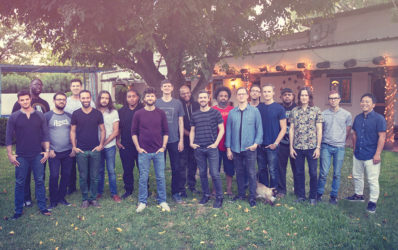 This fusion-jazz-rock collective has up to 40 members which perform in various line-ups as Snarky Puppy. Their last album, “Culcha Vulcha”, won a Grammy in 2016. It is widely expected that they will present their newest album at their Vienna Jazz Fest performance at the Globe Wien.